Russia remains the largest and having the greatest military power neighbour of NATO, and the main task of the Alliance at the moment is to decide how to cooperate with Russia "as it is today," US Ambassador to NATO Douglas Lute told a press conference in Brussels on Wednesday. "It is not only the annexation of the Crimea and the fighting in Donbass", but also the increasing number of military exercises and strengthening of the army, which demonstrate the unpredictability of Russia, he said. At the same time, the American said that the current relations between NATO and Russia are based on a balanced approach, and "during such transition periods like this" the Alliance is unlikely to reconsider any aspects of this cooperation. In the meantime, Lute stressed that at the moment the most effective assistance to Ukraine from the Alliance is political support and assistance in the preparation of the Ukrainian military. "This process is almost continuous," he said. 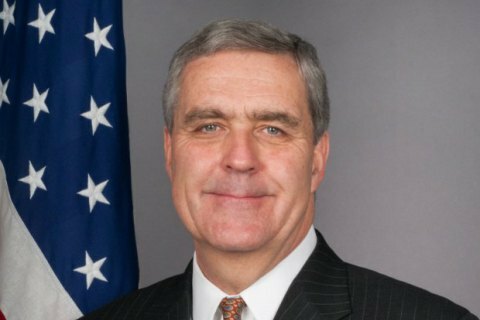 US envoy to NATO also said that "the Minsk Agreements maybe not the best way to resolve the conflict in Donbas, but this is what we have." "There are significant political obstacles on both sides," said Lute. Earlier on Wednesday, Jens Stoltenberg said that NATO concerned about the implementation of the Minsk agreements.